Home warranties are something you see every now and then being offered by a Massachusetts home seller who is looking to provide a perk and piece of mind to a prospective home buyer. The seller pays for the warranty upfront and the Realtor advertises that the property comes with a home warranty. A home warranty is basically a service contract that covers the repair and or replacement of many of the most frequently occurring things that can break down in a home including appliances and home system components such as heating systems, air conditioning, plumbing and electrical items. A home warranty gives a buyer piece of mind after they move into a home that if a repair crops up they will be covered and it will not turn into a major unexpected expense. Home warranties used to be popular by just those folks that were selling their home. This is no longer the case as lots of Massachusetts home owners purchase a plan even if they are not selling their home. The typical cost of a home warranty goes for between $350 to $600 per year. There are usually different types of plans that can be purchased and the cost will vary depending on how much you desire to have covered. In other words there are certain levels where you can have just the basics covered like the kitchen appliances, all the way to the major systems in the home. When an issue crops up that is covered under the home warranty you make a call and a service contractor comes out to view the issue. They are there to make sure that the issue is covered under the plan that you hold. The fee for a service call is in the neighborhood of $50-$100 dollars. Most of the time with these warranties you can expect that only a repair will be made unless it is absolutely necessary for the problem item to be replaced. People often ask does it matter how old the appliances or systems are when purchasing a home warranty? The answer is that it does not, however the component needs to be in good working order. You can not expect a warranty to be purchased for something that is already defective and asked for it to be covered under the home warranty plan. If only things were that easy! You can expect the home warranty contract to be filled with clauses that will protect the home warranty company for a components prior condition. In addition if the service contractor determines that you have not been taking care of a particular item the warranty could be voided. For example, lets say the heating system has an issue and is not working properly. If the technician comes out to your home and sees you have not been maintaining the system by regularly changing the filters they may reject your coverage. The other thing that you need to consider with a home warranty is that although they tell you that you will get a similar product if it fails, it may not be exactly the same. Why could this be an issue? You may have a brand of appliance that you think is rock solid. The fact that you just happen to really like it does not mean that you will get the same brand back if a replacement is needed. You could start out with General Electric and end up with Whirlpool! So if you are thinking of purchasing a home warranty who should you go with? One of the most respected and well know home warranty companies is American Home Shield. They are the founding and leading Home Warranty Company, and have over 35 years of experience of providing warranty coverage. At the time of this writing they have over 1.3 million home warranties in force nationwide, and over 11,000 contractors in their service network. American Home Shield leads the industry in delivering innovative home warranty products to their customers. Whenever I have recommended a home warranty to a client, I have always chosen American Home Shield. According to the American Home Shield website their basic coverage includes: heating systems, water heaters, plumbing and electrical systems, ovens, ranges, garbage disposals, microwaves and cook tops as well as ceiling and exhaust fans and plumbing stoppages. Central A/C, refrigerator, clothes washer, clothes dryer, garage door opener, well pump, pool, spa. Other well known home warranty companies include 1st American, Old Republic and Fidelity National Home Warranty. 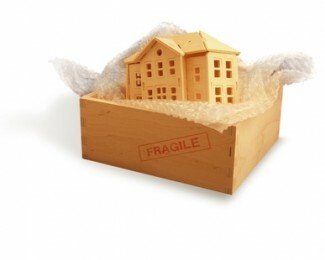 Do I think home warranties sell homes? No I do not but I think they can on some occasions bridge the gap in negotiations if there are older components in a home that may break down shortly after the sale takes place. On many occasions a home inspector will point out to a buyer that something in the home may be getting close to the end of it’s useful life. In homes where there are components that have reached the end of their lifespan a home warranty could end up saving you quite a few bucks! About the author: The above Real Estate information on home warranty benefits for Massachusetts homes was provided by Bill Gassett, a Nationally recognized leader in his field. Bill can be reached via email at billgassett@remaxexec.com or by phone at 508-435-5356. Bill has helped people move in and out of many Metrowest towns for the last 24+ Years. Previous Article Picking The Wrong Massachusetts Realtor Can Get Ugly! Bill, your article came at the perfect time for me, as I’m discussing the idea of offering a Home Warranty with one of my sellers. What are the steps the seller needs to take? 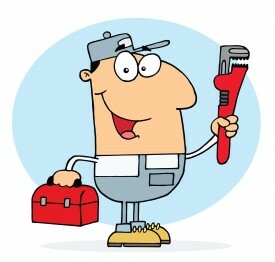 Simply call to request a Home Warranty, and they will send a technician to evaluate the systems? How is the price determined? I’d love more info if you’ve got it – which I am sure you do! Thanks again for the helpful post! Bill – Thanks for the explanation on home warranties. I have often wondered exactly how these plans work and what the benefits were to either a buyer or seller. Hi Katherine – The warranty company that I have always used is American Home Shield. They are excellent to work with. The # for them is 1-800-735-4663. The price is determined by how much insurance you purchase. There are a number of different pricing levels. Best of luck! Jen – I am glad I was able to provide you a decent explanation about home warranties. These insurance policies are a great piece of mind especially for homes that may have components that are approaching the end of their useful life. I agree, home warranty will save you time and money, as long as you go with a good company. It is a must when you sell your home. If you buy a home 10years or older and intend to use the appliances; AC, Heater, Water Heater, Refrigerator, Stove, etc., it would definitely be wise to look into a home warranty. Denver has a local company called Blue Ribbon that has excellent ratings across the board. Old Republic Home Warranty is available throughout the country, but with mixed reviews. Best of luck. Rob I agree there are times when having a home warranty is a great benefit and other times it may not be worth the expense. I have had excellent track record for 6 straight years with my home warranty company.Right here in massachusetts.. I have question regarding my home buyers rights. I bought a brand new home in MA. Now after four years I am find a leak in sewer pipe caused by screws from a light fiiting put in by the home builder. The leak has done dammages which will cost me nearly $3000. Will I be able get the home builder to foot the bill. Hi Job – My guess is that it is not likely after four years you will be able to get the builder to address this. Most warranties do not cover things such as this although I would certainly consult with an attorney who may be able to put some pressure on the builder to fix it.